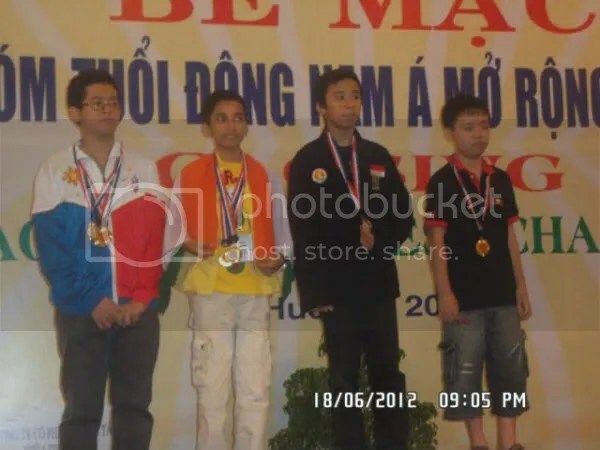 The 13th edition of the ASEAN+ Age-Group Championships that was held in Hue City, Vietnam from 10th to 19th June 2012 was completed with host country Vietnam winning the overall championship with 121 medals (73 golds, 31 silvers & 17 bronzes). 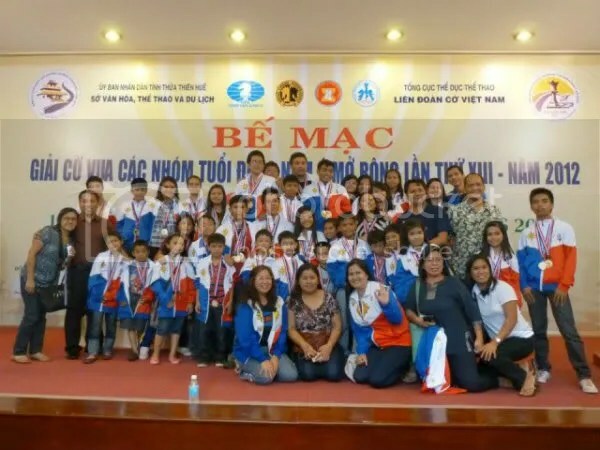 This annual event, brought together more than 420 players from 11 Southeast Asian nations and other Asian countries, including 264 from host Vietnam. 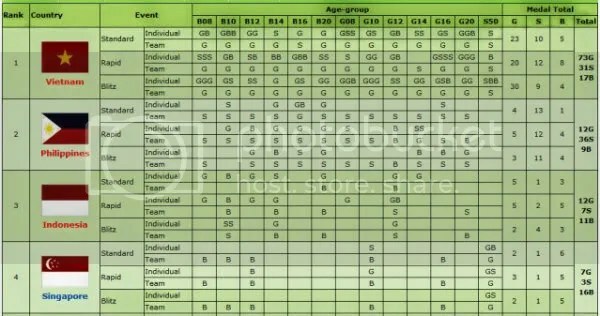 Herewith the breakdown of Team Philippines 57 medals in ‘Standard or Classical’, ‘Rapid’ & ‘Blitz’ chess. Hereunder are the List of Philippines Medalists in their respective Age-Group and to some their newly acquired qualification for FIDE Titles and/or norm. 3. 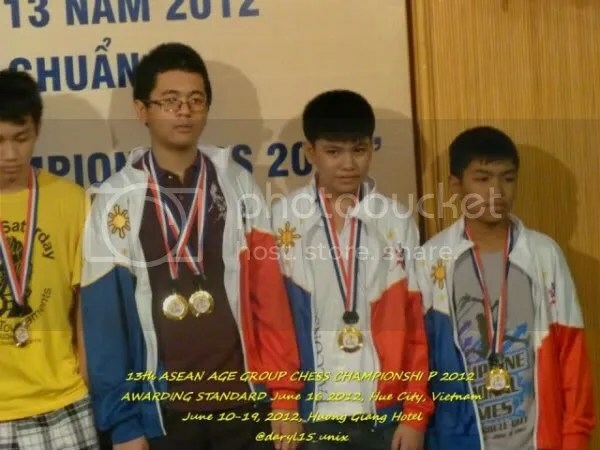 Pimentel Joel (5): 2-Gold (U20-Standard, U20-Rapid), 3-Silver (U20Team-Standard, U20Team-Rapid, U20Team-Blitz) with International Master qualification and 1st GM norm as Gold Medalist in ASEAN U20 w/ at least 9-rounds.